ROSTOV-ON-DON — A last minute goal from Croatia midfielder Ivan Perisic gave his side a 2-1 win over Iceland in their Group D qualifying game in Rostov-On-Don on Tuesday night. The result was harsh on Iceland, who gave everything they had and until Perisic’ late goal they were just one goal off making the last 16 of the competition. 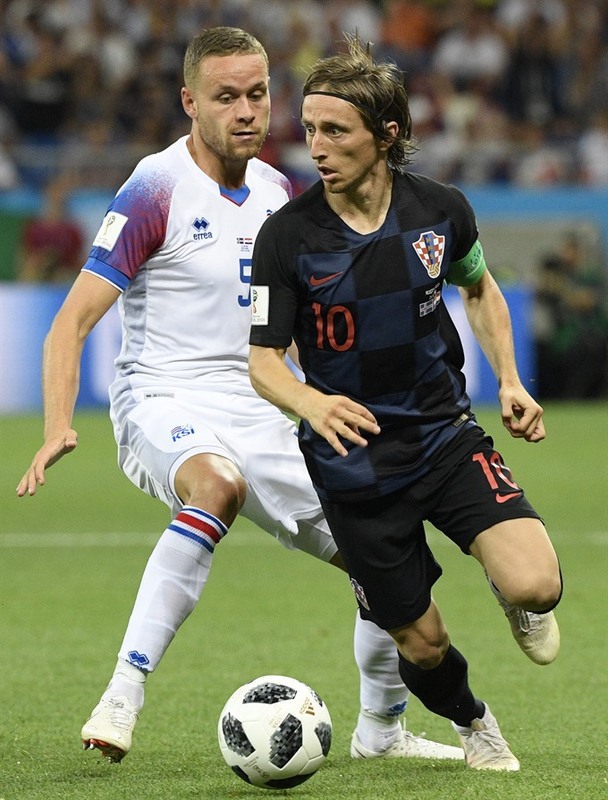 With their place in the next round already secure Croatia rested a host of key players, although Luka Modric remained in the side and he and Mateo Kovacic helped their side enjoy almost complete control of the ball in the opening minutes. Croatia were enjoying almost 80 percent of possession as they stroked the ball around the park and in his efforts to win it, Iceland’s Bikir Bjarnasson was caught in the face and had to leave the pitch to have treatment on a heavily bleeding nose. Iceland’s first chance came from a long throw flicked on by Sverrir Ingason but with nobody closing in on the far post the ball went wide and their second was a Gylfi Sigurdsson free kick which was comfortably saved by Croatia keeper, Lovre Kalinic as they began to cause Croatia problems from set pieces. Iceland were now on top and Alfred Finnbogason side-footed just wide after a neat touch form Sigurdsson and the half ended with Kalinjic making a fingertip save to deny Aron Gunnarsson’s goal-bound effort. Croatia took the lead in the 53rd minute when Milan Badelj scored from close range moments after seeing a long-range shot tipped into the bar, but Iceland looked to hit back and Sverrir Ingason’s header also bounced to safety off the woodwork. Modric was rested in the 65th minute with Filip Bradaric replacing him as Iceland kept on working for an equalizer with Bjarnasson just failing to get enough on a cross from the right. Iceland got a lifeline in the 75th minute after Dejan Lovren cut out a cross with his arm and Sigurdsson, who had missed a penalty against Nigeria four days earlier, stepped up to slam the ball home and level the score.